In more recent times, it has become apparent that retailers want to market themselves in a way which successfully appeals to millennials - born between 1980 and 2000. Perhaps this is because millennials are the biggest social broadcasters and therefore the most promotional or damaging demographic for retailers; even those well established. Born before the 2000’s, the millennial generation have also refined their knowledge of technology, design and marketing; forcing retailers to consistently evolve and update their designs to maintain a high level of interest. In this post, we’re going to discuss three key points for retailers’ hoping to appeal to their millennial customers. ‘Millennials have earned a reputation for viewing the world through a uniquely digital lens.’ – Accenture. Time and time again, articles and blog posts have been published detailing the importance of using technology in retail design. But there is a fine line between using technology to serve a purpose or as a form of entertainment, and implementing it into a design because you believe it should be there. Millennial’s are incredibly savvy when it comes to technology and digital marketing, so it’s important for retailers to be just as savvy, meeting the extremely high digital expectations of a potentially loyal customer. A sole touchscreen to browse products just doesn’t cut it anymore, millennials are looking for interactive technology and digital media that goes beyond a catalogue of products. 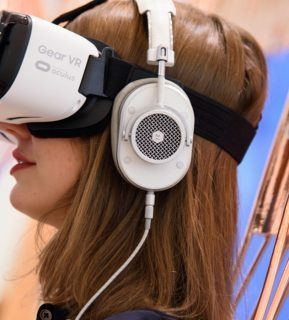 Think design stations (Adidas, Nike, Olivia Burton), virtual reality shopping (Sephora, Made.com, John Lewis) and interactive displays or mirrors (Charlotte Tilbury, Audi, NARS). Millennials are fully aware that most offers and sale items can be found online from the comfort of their own home – including a click and collect desk instore is always a good shout – so it takes an interesting retail design concept to get them running into store. Consider implementing a digitally interactive concept store to capture the attention of a millennial. Entering a store to find rows of products, pushy salesmen and the occasional sale rack is not what these purchase-savvy millennials want to experience – nor any generation for that matter. Forbes describe millennials as preferring an “experiential” retail environment, where shopping is more than a transaction and the pleasure of being in the store isn’t limited to the goods that customers take home.” Anything from virtual shopping in Sephora’s digital store (USA) through to shopping at Ted Baker but at the same time getting a haircut and a coffee (London) - it’s important for stores to design their concepts around the experience that a millennial expects in the 21st century. The above statements are not to say that retail design can be completely disregarded and it’s purely about the interaction or quirky extras; they in fact heighten the need for a store which is designed to be synonymous with the all-important millennials needs. 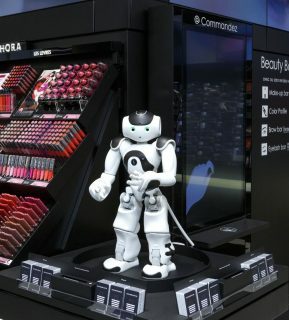 Whilst these experience stores often include digital interaction, personalisation or product testing; many brands are also combining social activity or hospitality with their retail stores. Including a coffee shop or dining experience may not be directly associated with your brand, but it does capture the attention of a millennial whom treats their shopping trip as a social, inclusive experience. As millennial’s have grown up in a digital age, it is unsurprising to recognise their preference for getting involved in social media; anything from sharing travel and food photographs through to researching their favourite brands and seeking offers. And whilst this form of brand marketing might be through of as online-only, inclusion of social media for bricks and mortar stores is not impossible. 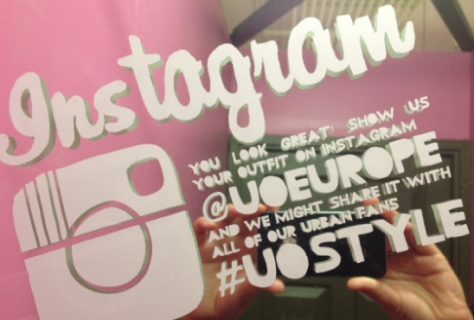 Firstly, if your store has an event or experience offering, then using hashtags across social media platforms (think Twitter and Instagram especially) is not only a promotional strategy but also engages social sharing from the millennial users. A newer but incredibly successful social media platform is Snapchat, which offers sponsored ads for brands. However, fashion retailer New Look has taken the filter-based app to the next level in their retail stores. 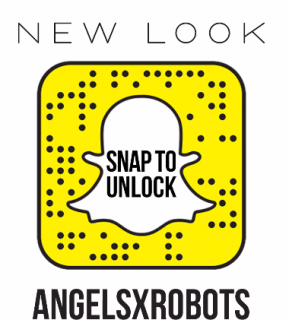 By purchasing a geofilter and snapcode, their AngelsxRobots campaign is promoted via in-store displays, which customers can access by pointing their Snapchat camera to unlock the filter. This adoption of social media in retail stores is a huge win for retailers who hope to maintain the interest of the digital millennial shopper. 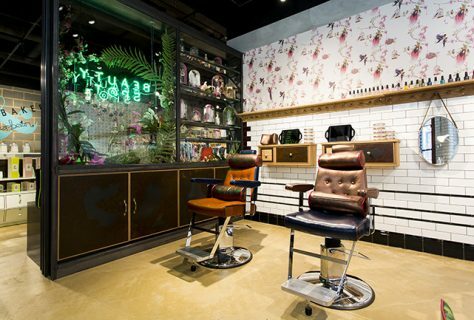 There you have it, three key factors when it comes to retail design that will resonate with the millennial generation. But most importantly, remember that: ‘Millennials are not a different species, but they do expect different things. All you have to do is align how that works in conjunction with what you offer.” - WSG Interiors.